The 70-year-old Canadian man, who had pre-existing heart disease, suffered a heart attack half an hour after consuming most of a lollipop that contained 90 milligrams of THC. The man had hoped that it would help with arthritis pain and allow him to sleep. 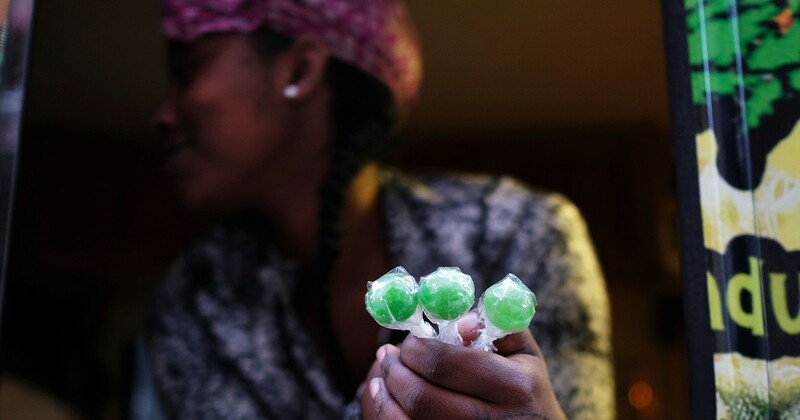 The dose in the lollipop was far greater than what people typically inhale with a single marijuana joint, 7 milligrams, the researchers note. The man had already been diagnosed with atherosclerosis and had bypass surgery, but he was taking medications to treat the condition, and his disease was “stable” at the time he consumed the edible cannabis, said lead study author Dr. Alex Saunders, chief resident of the internal medicine program at the St. John’s site for Dalhousie University. “After his bypass surgery he had no repeats of chest pain other than this one,” Saunders said. By the time family members got to him, “he was not only having hallucinations, but also intense chest pain,” Saunders said, adding that the terror the man experienced may have been too much for his heart. Once at the hospital, doctors confirmed that he’d had a heart attack. The man survived his heart attack, but tires more quickly than before with exercise. Saunders worries that with marijuana now legal in Canada, increasing numbers of people with heart disease will be using it and some of them will be at risk for heart attacks. “When I was in my rheumatology rotation, over half of my patients were asking if marijuana would help with the aches and pains that don’t get better with traditional medicine,” she said. And while many would have avoided cannabis before, “now that it’s legal they don’t feel as bad,” Saunders said. In an editorial accompanying the case report, Dr. Neal Benowitz of the University of California, San Francisco, outlines the different mechanisms by which THC can affect the heart and cautions doctors to keep these in mind when deciding whether and how to use cannabis to treat patients with heart disease. May 17, 2018 Comments Off on In Virtual Reality, How Much Body Do You Need?